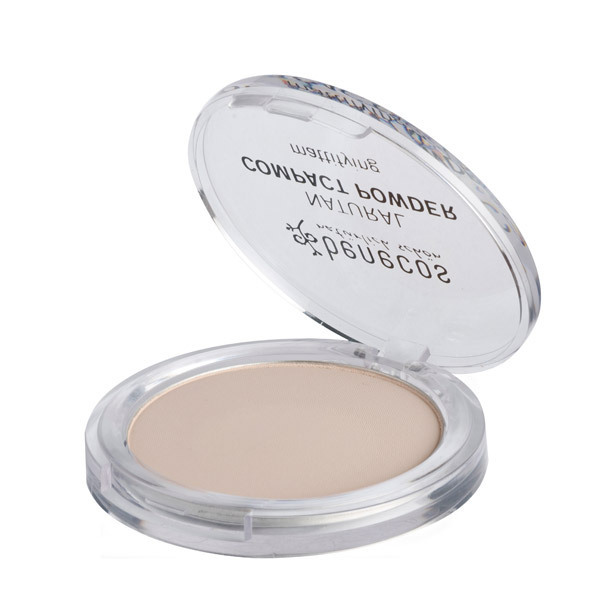 Conceals imperfections and brightens your complexion. Ingredients (INCI): Talc, Mica, Kaolin, Caprylic/capric Triglyceride, Macadamia Ternifolia Seed Oil*, Ricinus Communis Seed Oil*, Magnesium Stearate, Glyceryl Caprylate, P-anisic Acid*, Tocopherol*, Helianthus Annuus Seed Oil*, [+/- (may Contain) CI 77891, CI 77499, CI 77491, CI 77492, CI 77007, CI 75470]. Benecos, natural & modern cosmetics. Benecos is a German brand that offers stylish, modern cosmetics, with trendy colours and elegant packaging. Benecos products are HIDB, organic and 100% vegan certified. Discover the new range of cosmetics: Benecos shower gel, shampoo, body lotion, day cream and hand cream. Packaged in convenient tubes, they will add a colourful touch to your bathroom! Benecos is the brand for all make-up and beauty lovers, with a range of inexpensive natural skincare, cosmetics and gift ideas, why not simply to treat yourself to quality affordable products!